Breaking Occult Spells Book Index. Breaking Occult Spells: Protection from Witchcraft and Occult Influences. "They overcame him by the blood of the Lamb and by the word of their testimony,” Revelation 12:11. The book content below is available in paperback & printable downloads at a low donation level price. The latest edition has been extensively revised (updated) beyond this online first edition. 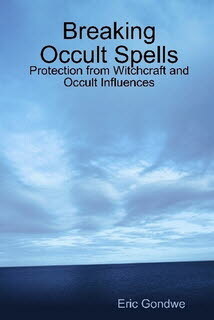 The book is titled: Breaking Occult Spells: Protection from Witchcraft and Occult Influences. Links are provided for its bookstores.